Bike On, Bear! 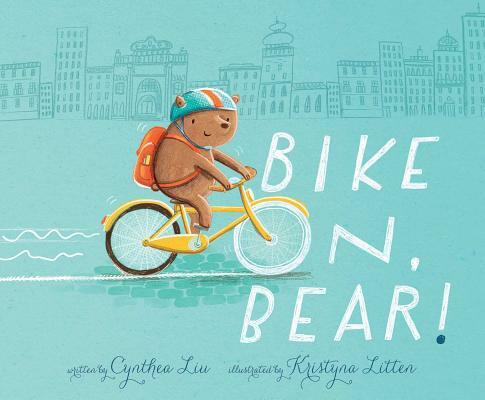 is the lovely story of a young bear who desperately wants to ride a bike. Bear tries and tries, but despite the support of his friends and the help of a library book, he just can’t seem to get it. It is not until Bear’s help is urgently needed that he stops overthinking, and just gets on and rides. Adorable illustrations by Kristina Litter. Perfect for launching a discussion on perseverance and having difficulty learning. Along those lines, I also dearly love Leo the Late Bloomer.